Sleep all of your worries away with this furnishing that acts as the central hub to any home. A mattress might be soft, but this linen-look, textured fabric with vertical panel stitching on its headboard envelops your tranquil retreat in an abundance of plush comfort. The 26-inch bentwoodslat support system with a centre rail and two support legs allows for the exclusion of a box spring. Brought all together with beautiful solid rubberwood legs in a coffee finish, this bed will accentuate your personal style while adding a pop of fun to your bedroom. Sleek enough for a master bedroom, yet also casual enough for a childs, teenagers, or guest bedroom. Great for dormitories. This sophisticated black hammered metal headboard will be a wonderful focal point in your casual contemporary bedroom. It features an arched crown, vertical slats with gold round finials and twisted rope draping details that add a soft romantic touch to the bedroom. This piece can be used on a full or queen size bed frame as a headboard or as a footboard, creating a fresh look in any bedroom. In a unique combination of style and convenience, this upholstered bed will bring a high-end designer look directly to your home. The headboard features a sensuous complex curved shape with button-tufting and is covered in durable cream coloured fabric. Innovative hinged side rails and on-trend low profile foot board allow for shipping efficiency and a sleek look. This complete upholstered bed ships in one box thanks to innovative hinged side rails. Its softly shaped headboard is an updated classic with diamond pattern button tufting and brushed nickel nail head trim that accentuates its shape. The upholstered side rails, and low profile foot rail sit on tapered feet that perfectly complete this updated look. 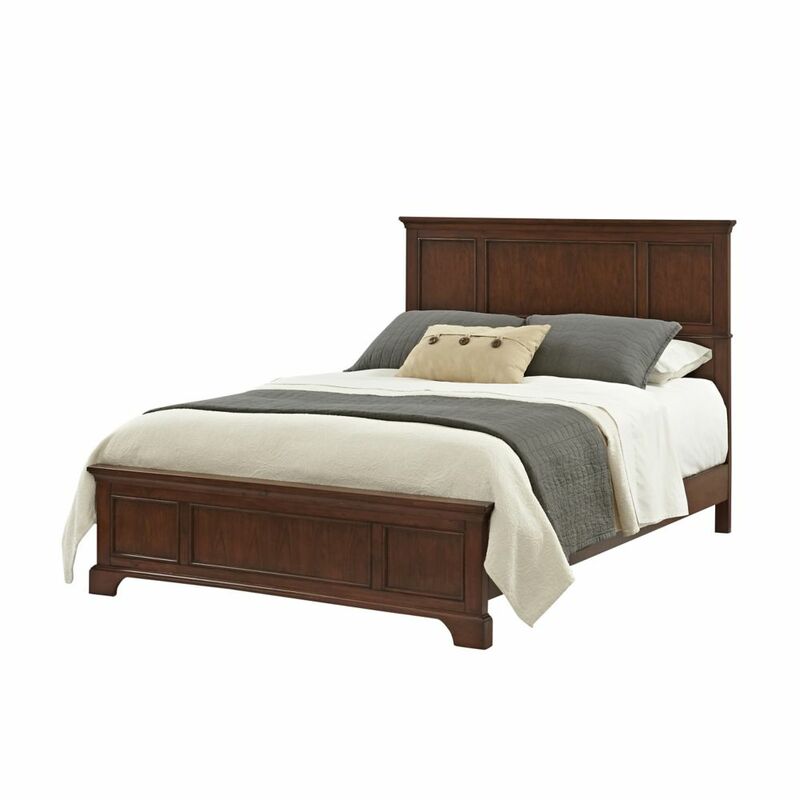 Chesapeake Queen Bed is rated 4.0 out of 5 by 1. Rated 4 out of 5 by Avo from Very nice bed. Was easy to put together. Had little bit trouble keeping the washers strait connec... Very nice bed. Was easy to put together. Had little bit trouble keeping the washers strait connecting the side boards to the head boards. Over all I like it and will recommend it.